See 16 sunrises and sunsets in one day, float on zero gravity, witness incredible views of the blue planet, grow food while in orbit, Live video chats with the loved ones from space, this is what offering world's luxury space hotel for 10 million US dollars. The world's first luxury space hotel, Aurora Station was announced at the Space 2.0 Summit in San Jose, California. This hotel will host 6 people at a time including 2 crew members for 12 day trips, First guests of this hotel will be welcomed by 2022. - The US based space technology Orion Span CEO said "Our goal is to make space accessible to all". With in 2 weeks vacation time, guests of this hotel will get an authentic astronaut experience. - Only super rich travelers will fly at a height of 200 miles above the earth surface in Low Earth Orbit, where they will witness incredible views of the blue planet. - The space hotel will orbit Earth every 90 minutes, which allows this hotel guests to see 16 sunsets and 16 sunrises in every 24 hours. They can take part in research experiments of growing food while in orbit. - The guests of this space hotel can have live video chats with their loved ones via high speed wireless internet access on the board. More over when they return back to earth they will get warm welcome as hero's. - While enjoying the thrills of zero gravity, the travelers will be able to float freely through the hotel, taking the views of aurora from the station windows. - Before take off for the hotel, travelers will complete a 3 month Orian Span Astronaut Certification program. Orion Span has a team of space industry who have more than 140 years of human space experience. 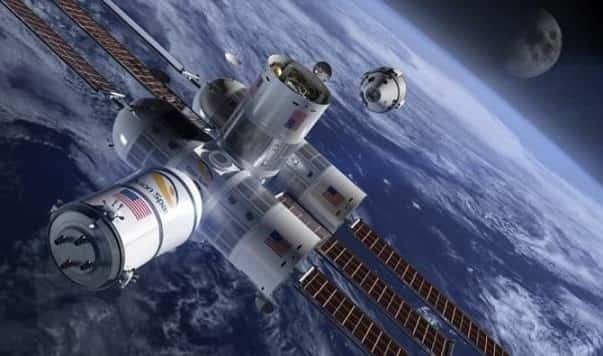 - While Orion span is about to welcome its travelers on 2022, Axiom Space another luxury space hotel will welcome its guests by 2024, However Axiom space did not set any prices yet for the tourists.